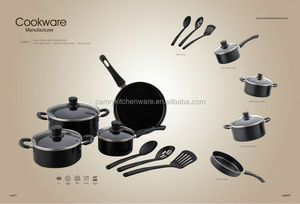 Product The various range of global kitchenware, Product Integration, save your cost of purchasing & inventory. Q:Transportation safety9 Can do drop test9 A:Make sure the products can safety to your destination port. Q:Induction Oven and Gas Oven both can use9 A:Yes,this product can use on either. Coated with the highest quality of porcelain to achieve a super strong scratch resistant surface. As the core of the pan is soft aluminum so, there will be no hot spots in the pan. Do not use hard sharp knives or utensils that can scratch and weaken the glass. specializes in the R&D, manufacturing ,marketing of silicone products for many years ,such as silicone baking mats ,silicone placemats and other silicone kitchen tools . Accessories Q1: Are you factory manufacturer or trade company9 We are factory manufacturer for many years. Q5: What is your payment 9 T/T & Paypal & Western union & Alipay 30%TT as deposit, 70%TT paid before shipment Q6: How to get a sample 9 1-2 samples is freely supplied ,but the freight fee will be charged from client . Q How about the sample fee9 A We would like to provide you sample for your reference. Q I want mix item in one container9 A Thanks for your support and we are welcome to mix item in one comtainer for you. Q What is your normal payment term9 A 30% deposit advance by T/T, the balance before shipment. 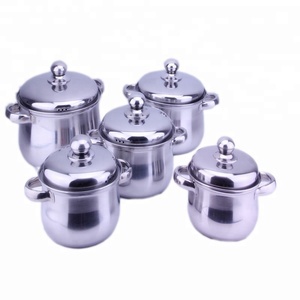 big cooking pot italian stainless steel pots cookware with low moq Type: Pots cookware Item number: DHTG Material: Metal Color: Silver Metal Type: 201 stainless steel Packaging: Color box Certification: ISO9001 MOQ: 300 pcs Function: Stainless steel pot Size: 30*20cm/35*22cm/40*24cm 45*26cm/50*28cm Surface Finish: Grit satin finish Usage Situation: Kitchen cooking tool Feature: 1.Round shape of lid of handle, anti hot and skid; 2.The thicking of body of handle, not easy to fall off, convenient carrying; 3.Grit satin finish surface, not easy to scratch, easy to clean; 4.The inner wall adopts polishing process, not to hide dirt; 5.The bottom of an integral molding, heat conduction uniform and fast. Superior Cooking Surface Staniless steel cooking surface does not discolor, react with food, or alter flavors. Dishwasher Safe Brilliant stainless steel comes out of the dishwasher looking like new. Drip-Free Pouring Rims of cookware are tapered to make pouring clean and easy. 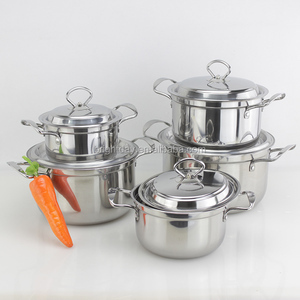 Ningbo Kukiwell Kitchenware Co., Ltd.
* Use as an over-sized stock pot for stews, soups and more * Stay cool handles and lid knob * Dishwasher safe; hand wash recommended * Made of durable aluminum for superior heat conductivity * Riveted side handles promote safe, secure transport * Handled lids help keep in heat, moisture, and nutrients FREE SAMPLES are available according to your request. This product is most popular in Nigeria. 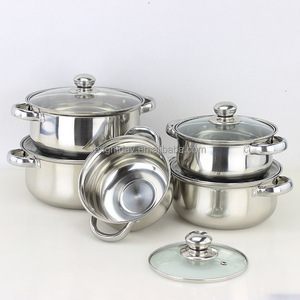 If you want to get in Nigeria, this pot set is very suitable. 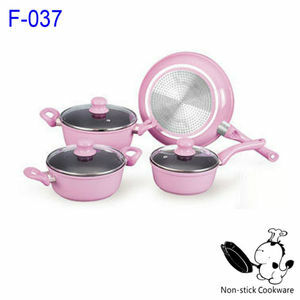 Alibaba.com offers 3,471 10pcs wholesale cookware products. About 66% of these are cookware sets, 9% are pans, and 5% are soup & stock pots. 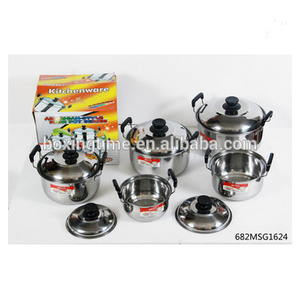 A wide variety of 10pcs wholesale cookware options are available to you, such as sgs, fda, and ce / eu. You can also choose from stainless steel, aluminum alloy, and aluminum. As well as from metal, ceramic. 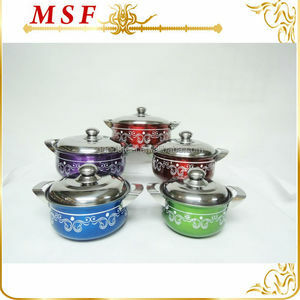 And whether 10pcs wholesale cookware is free samples, or paid samples. 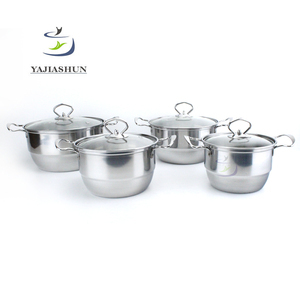 There are 3,429 10pcs wholesale cookware suppliers, mainly located in Asia. 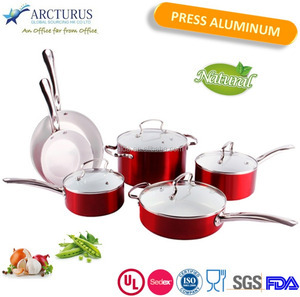 The top supplying countries are China (Mainland), India, and Turkey, which supply 97%, 1%, and 1% of 10pcs wholesale cookware respectively. 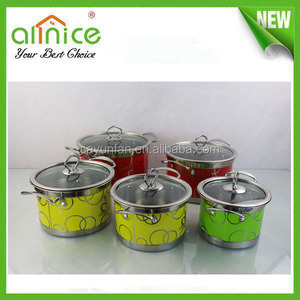 0pcs wholesale cookware products are most popular in South America, Mid East, and North America. You can ensure product safety by selecting from certified suppliers, including 675 with ISO9001, 209 with BSCI, and 123 with ISO14001 certification.